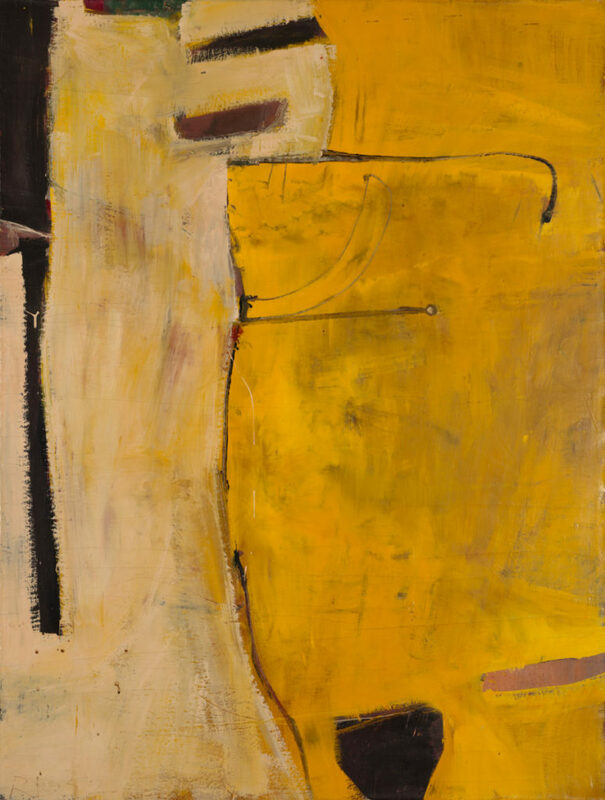 Featuring 100 paintings and drawings from the collection of the Richard Diebenkorn Foundation, Richard Diebenkorn: Beginnings, 1942–1955 traces the Portland-born artist’s evolution from representational landscape, to Surrealist-inspired work, to his Abstract Expressionist paintings. Best known for his Ocean Park series begun in the second half of the 1960s, Diebenkorn was a prodigiously talented young painter. This exhibition brings together seldom seen works to illustrate the breadth and depth of this preeminent American artist’s early years.Beginnings is the first exhibition to focus solely on the work Diebenkorn made prior to his decisive turn to figuration in the late 1950s. In addition to considering his early thematic and stylistic evolution, the exhibition also examines Diebenkorn’s technical origins in oil, watercolor, gouache, ink, crayon, and collage. The chronological focus demonstrates the environments and individuals that influenced him, beginning with his years as a student and his time in the Marines, through his early professional years in Sausalito, California, and his academic positions in Albuquerque, New Mexico, and Urbana, Illinois, before his return to the Bay Area. A landmark contribution to the study and understanding of Diebenkorn’s work, Beginnings and its companion catalog reveal the forces that shaped the young artist, including works that range from World War II drawings and watercolors of soldiers, to abstractions that unite the forms of Surrealism and the fractured planes of Cubism, to gestural works on paper. 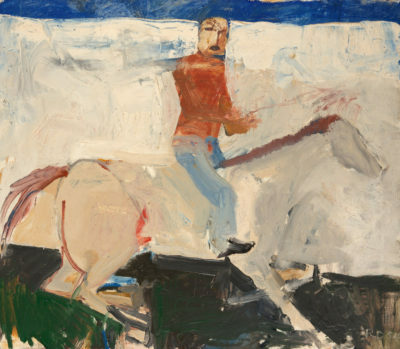 The exhibition concludes with one of the artist’s first mature figurative paintings, his 1954 Untitled (Horse and Rider), laying the foundation for the representational drawings and paintings for which Diebenkorn earned wide renown. Diebenkorn once remarked, “I think what one is about now has intimately to do with what one did yesterday, ten years ago, thirty years ago. Just as you can continue that progression, what somebody else did, forty years earlier, a hundred years earlier, I think that’s what one as an artist probably is.” This sentiment brackets the circuitous evolution that is clearly felt in the exhibition. 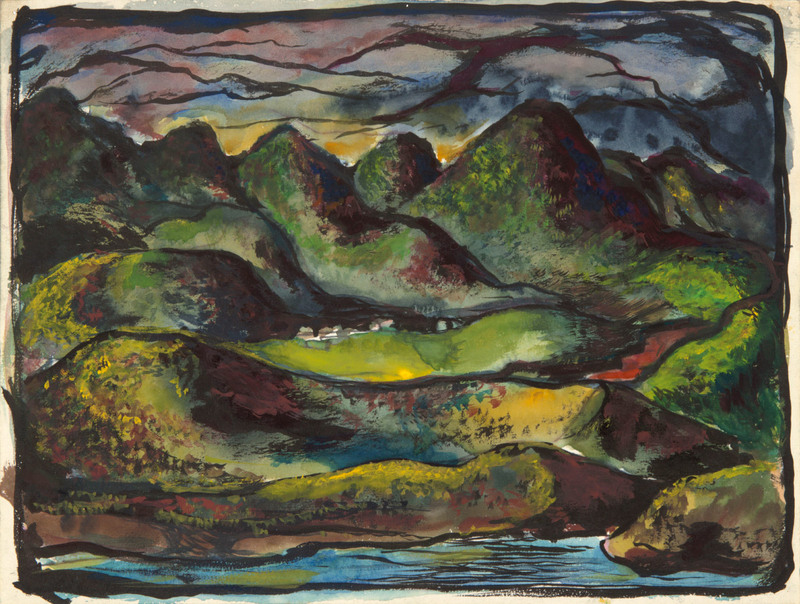 In works made during the 13-year span covered in Beginnings, viewers will see how deftly Diebenkorn learned from a broad range of influences—from the social realism of Edward Hopper to the cubism of Georges Braque—adapting line, color, form, or process selectively as he developed his own artistic voice. Richard Diebenkorn: Beginnings, 1942–1955 is accompanied by a catalog by curator Scott Shields, Ph.D., Associate Director and Chief Curator at the Crocker Art Museum, which co-organized the exhibition. Dr. Shields will deliver a lecture on September 8. Organized by the Richard Diebenkorn Foundation in conjunction with the Crocker Art Museum. Curated in Portland by Sara Krajewski, The Robert and Mercedes Eichholz Curator of Modern and Contemporary Art. Nani S. Warren / The Swigert Warren Foundation; Ed Cauduro Fund of the Oregon Community Foundation; Wolf Kahn and Emily Mason Foundation; Exhibition Series Sponsors.